Required for both the OUPV and Master�s Upgrade Licenses, this course provides you with the information and skills necessary to provide basic emergency care until advanced medical personnel arrive to take over. 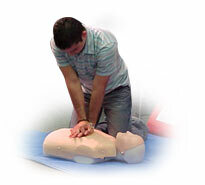 In addition to basic first aid, course content includes what to do in the case of breathing emergencies and will teach you how to perform CPR. For your convenience, The Nautical School offers the American Red Cross�approved course that meets the U.S. Coast Guard requirements.